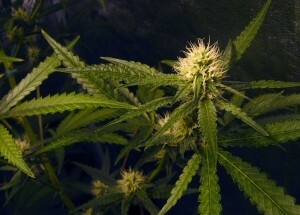 Marijuana research has been stifled for decades by U.S. government leaders. A recent report by The Brookings Institute went in-depth to explain the ways in which federal authorities have blocked the medical community’s ability to conduct the sort of key research on the drug that is considered the “gold standard” in guiding medical practice. Part of the problem is the fact that the U.S. Drug Enforcement Administration (DEA) has contended for years that the United Nations Single Convention on Narcotic Drugs treaty allowed only a single license to grow marijuana for research purposes. That license has only ever been given to the National Institute on Drug Abuse (NIDA). That could now change now that the U.S. State Department’s Bureau of International Narcotics and Law Enforcement has clarified: Numerous licenses for marijuana cultivation for medical and scientific research purposes could be issued without violation of the international treaty. That blows a huge hole in the DEA’s position. The statement by the bureau was given in response to a direct question from Sen. Kirsten Gillibrand (D-NY). Gillibrand spoke to SafeAccessNow.org after the response was issued, and stated point-blank that the DEA’s reasoning was under direct fire. She said this treaty has been cited time and again by top brass at the DEA as the reason why only NIDA was given a license to grow the drug for research. Now, there should be no problem with issuing more cultivation licenses to research outfits. Although marijuana research is conducted by a select few other outfits, the drug is only legally grown for this purpose at the University of Mississippi. This might not be a huge problem, except for the fact that the university has shown it can produce neither the quality nor the quality of the strains other researchers are seeking. As our L.A. marijuana lawyers know, Congress has already recommended the monopoly be discontinued. And yet, the DEA has remained firm in this. The state department’s response was clear on the fact that the existence of a marijuana monopoly did not violate the international treaty. However, there was nothing in the treaty that made it a requirement. Now, marijuana activists are urging President Barack Obama to order the DEA to begin the process of issuing more research licenses. Ultimately, they conclude, this will significantly benefit researchers but more importantly, patients. The DEA could actually issue 50 – one to each state. This is something that advocates have been pressuring the agency to do for decades. This clarification could finally force their hand. However, absent executive or court action, that may be unlikely. The DEA has shown little initiative in altering its stance. Numerous other countries – including Canada and Holland – have issued numerous marijuana research licenses, with no ill effects to report. Tagged: California marijuana research attorney, Los Angeles marijuana lawyer and marijuana attorney L.A.